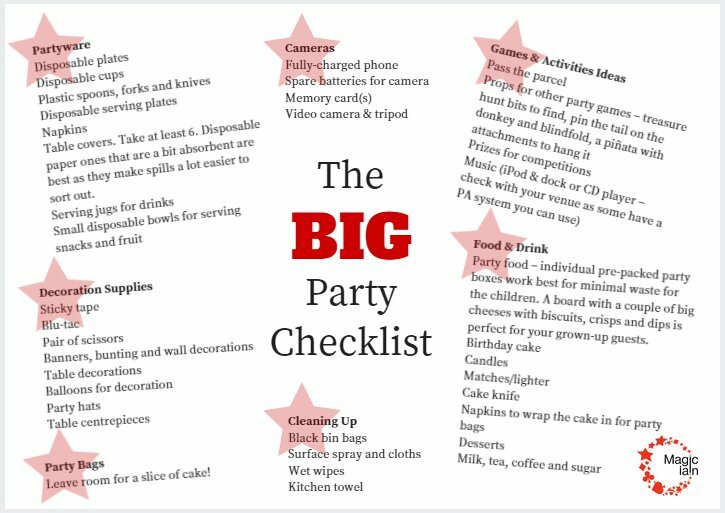 No matter the party theme, number of helpers you have or the child’s age, you’ll want this checklist I’ve put together if you’re throwing a birthday party in a hall. 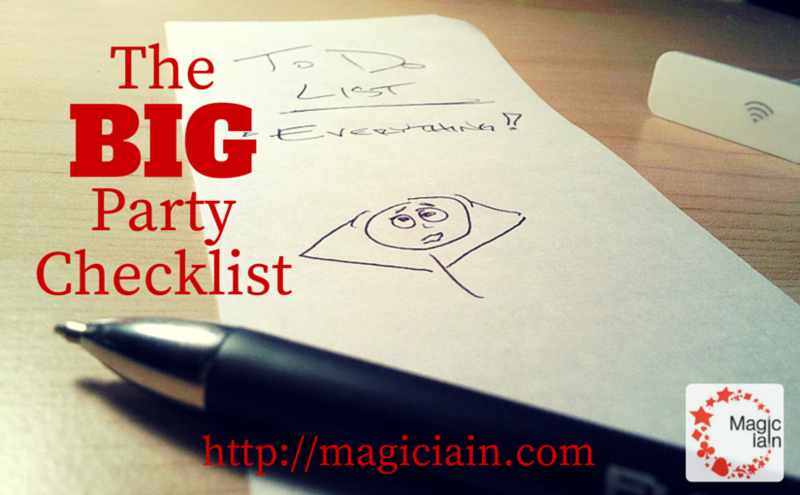 Print it a couple days before the party and get cracking gathering all the items together. It’s A4 in size and is a great reference of what you’re going to need. Hopefully there’ll be room for the presents on the trip home.